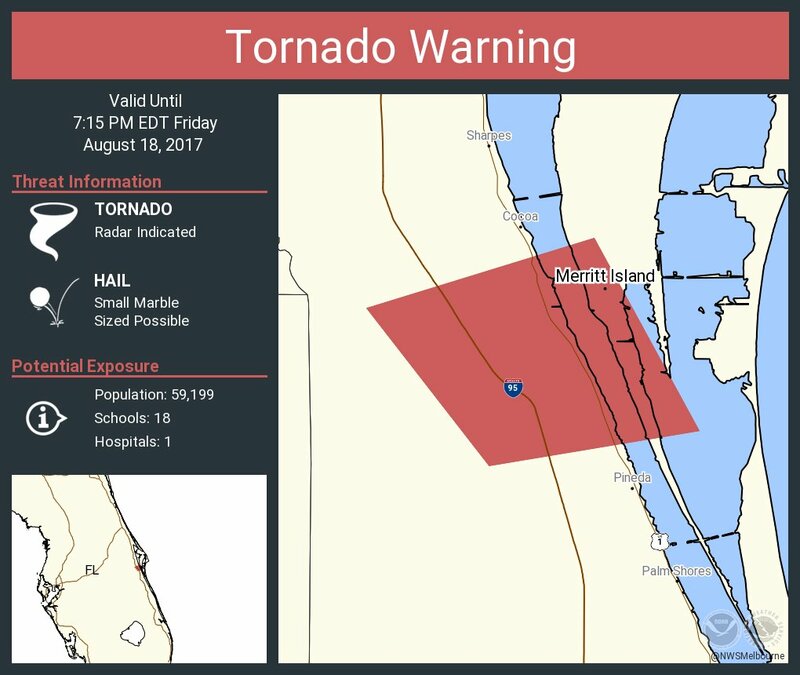 UPDATE: The tornado warning issued by the National Weather Service expired at 7:15 p.m. FPL reports that 4 customers are without service where the possible tornado touched down. 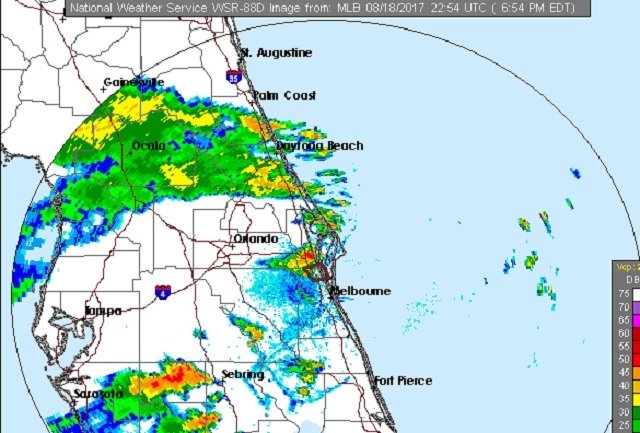 ROCKLEDGE, Florida - Reports on social media and 911 calls are indicating that a possible tornado has torn through Rockledge, Florida around 6:45 p.m. on Friday, August 18, 2017. 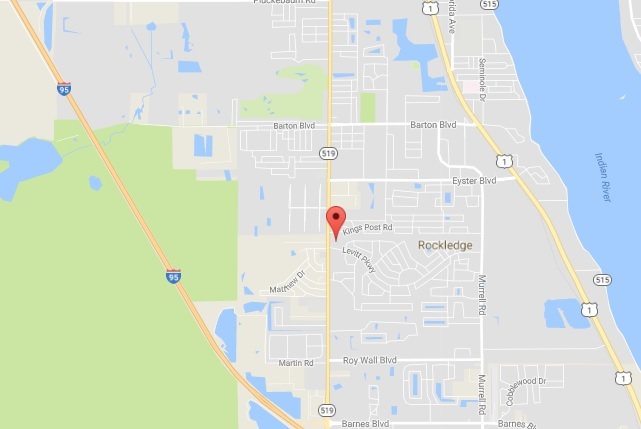 There are preliminary, but unconfirmed by official sources, of injuries and metal roofing being torn away and striking power lines in the Levitt Park subdivision of of Fiske Boulevard.